Persona 5 is one of the most unusual RPG games to come out on the PS4. The game saw an overwhelmingly positive response from critics and fans alike because of its brilliant visual design, amazing characters, and an outstanding campaign. The campaign stretches to almost 100 hours despite being a linear game and quite impressive considering even open-world RPGs fail to offer that much content even with filler side quests involved. While fans of open world games might not like the linear design, it is definitely worth checking out. 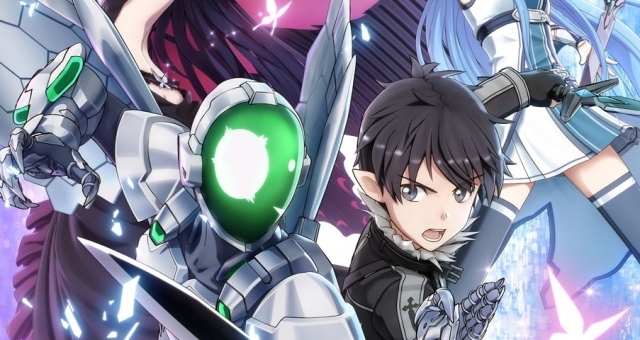 In case you want to know more about the franchise you can check out the official anime as well. 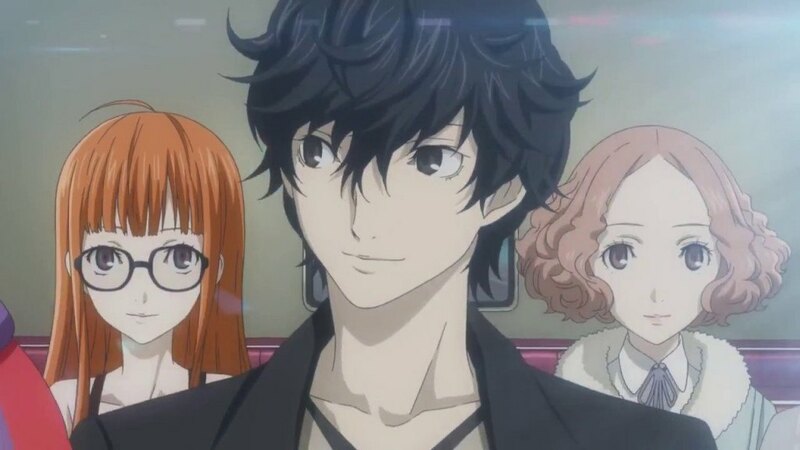 As soon as you start a new game, the player has to infiltrate a casino with other main characters of the game who are known as Phantom Thieves With the police surrounding you, your only option is to escape from the ceiling. This is where you are introduced to Shadows for the first time. Shadows are created from the lower parts of the human psyche which contain suppressed thoughts. Those who are capable of harnessing the power of Shadows are known as Persona-users. Even if you beat the shadow that appears at the start of the game, you can’t escape, and you end up in police custody and thus begins our protagonist’s tale. Persona 5 was first announced in 2014, and it took three years until it finally came out. On the one hand, we have games like Assassin’s Creed and Far Cry with one sequel after another and very little to offer when it comes to innovation, Persona 5 offers something truly unique over its predecessor. The popular RPG by Atlus is by no means groundbreaking or an innovative title with new mechanics that have never been seen before. In fact, the game was actually inspired by other popular titles as well as the work by Carl Jung, who is a famous psychiatrist and psychoanalyst based in Switzerland. The turn-based combat is similar to older Final Fantasy titles the art style is similar to what you would find in anime, but the color palette is striking. Persona 5 is stylish in every way but it does not put a façade on what’s inside Players who tried out Persona 3 or 4 before hopping on to Persona 5 will find themselves right at home. The game has dungeon crawling mechanics similar to Diablo, and there is no procedural level generation involved. Unlike the massive amount of time players got to clear objectives in Persona 3 or 4, Persona 5 is much more frantic and you are constantly racing the clock. There are five endings to Persona with 3 bad endings, a good ending, and a bad ending. There are a number of prerequisites to some of the ends, so you need to be very careful with your gameplay if you want to get the best endings. All of the endings affect not only the protagonist but also the other main characters of the game. The endings also affect the whole Metaverse as a while. Since you are given multiple Personas to control, your choices can change the outcome heavily. Bad Ending 1: The first bad ending is the easiest to obtain among all of the possible endings. Ignore the deadline of the Palace when playing through the game which will make the treasure unobtainable. If you do not get the treasure, you will be on course to get the first of the possible bad endings. Bad Ending 2: We notice Akira being captured right at the start of Persona 5 and depending on how the interrogation sequences go with Saw Niijima, you may or may not get this ending. If you give up the details of who the other Phantom Thieves are, it will trigger the second bad ending. Bad Ending 3: The final bad ending can be achieved in the final dungeon when you are given a choice. If you choose the option “Is it really the right world?” it initiates the final bad ending. Good Ending: If you successfully avoided all three endings above, you will receive the good ending. On December 24th in-game, head to Igor in the final dungeon and do not engage him in a battle to receive the good ending. True Ending: To get the true ending, you have to avoid all three bad endings and never co-operate with the interrogator Sae Nijima. Once you reach the final moments of the game head to the final dungeon, choose to fight Igor which will lead to the true ending of Persona 5. Unlike other games, getting to the true ending of Persona 5 is not very complicated. Games like Witcher 3 offer multiple chances at skewing things in your favor or take a turn to the darker side, but Persona 5 gives you one shot only, and if you make one bad decision you do not get the good or true ending. The gaming community does not take kindly to certain political or social messages, and sometimes gamers just want to have fun instead of having an agenda forced upon them. Understandably, a number of games have upset the community in the recent past and even though Persona 5’s ending raises some personal and political issues, fans do not mind it at all. Development studio Atlus knows that the average Persona 5 player is fully capable of forming individual opinions. The popular RPG discusses important topics like identity, self-realization, and justice beautifully. The word persona was derived from the Latin word person, which refers to a type of mask that was popularly used by stage actors. The use of these masks is very prevalent in Persona 5, and it draws parallels to how the Phantom Thieves operate. They all lead second lives just like an actor plays a different role when on stage. Persona 5 delves deep into its own mythology, but there has been no constant over the years. Each Persona game has its own interpretation, and it’s not because the developers made continuity errors, it is because of the theme of the game itself. Most of Persona 5’s action takes place in a cognitive world, and the central characters are capable of summoning their ‘personas’ which can be categorized into a large number of groups including Judgement, Death, Emperor, Magician and more. Throughout the game, you are made to believe that personal and individual freedom is important. However, as a Phantom Thief capable of stealing hearts and modifying the personalities of people you are constantly in fear of misusing your power. The protagonist is concerned about his own existence and the choices he makes throughout the game. How do you choose your own freedom? And if you do achieve it what do you do? These are just some of the common themes that are seen in the game, and much is revealed in the final chapter. While the game starts off as a fun RPG experience, you slowly see the other side to the game creep in with its philosophical questions. There is an existential growth seen in the Phantom Thieves and Atlus makes you constantly question your decisions. If you choose to deny freedom, you are essentially walking into Yaldabaoth’s domain. The cognition of a single entity being able to control the minds of people and directing their lives is not a world any of us would want to live in, and that is very well represented in the game underneath the beautiful visuals and compelling storytelling. It is truly one of the best RPG games ever made, and despite its premise of being the usual anime-style games, you find in dozens at any game store. 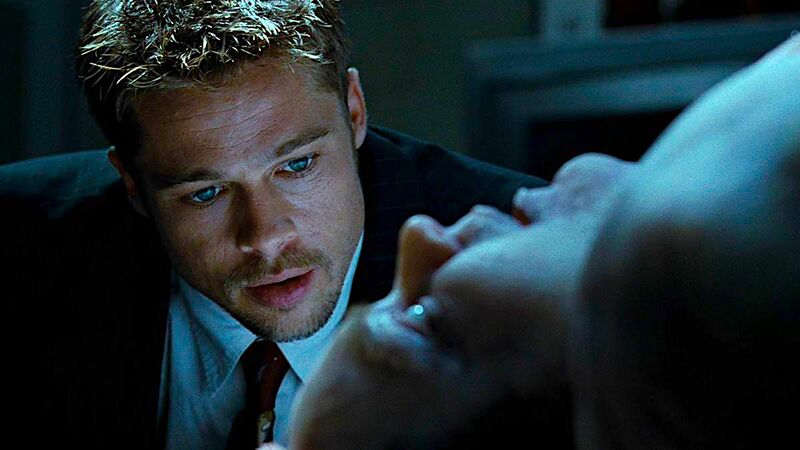 Almost all of the game involves the protagonist giving testimonies in an investigation room and how you play out your conversations and re-tell your memories is what affects the final ending. If you have not played the game at all, we strongly recommend skipping this part as it contains major spoilers. Depending on your testimonies to your interrogator you might be able to turn your capture into a favorable situation or even end up dying. It is revealed that the protagonist is a 16-year old who is from the Shujin Academy in Tokyo who was put on probation after he injured a man. The victim attempted to harass a woman, but things turned violent between the individuals. The protagonist starts staying with Sojiro Sakura, owner of Café Leblanc during his probation. 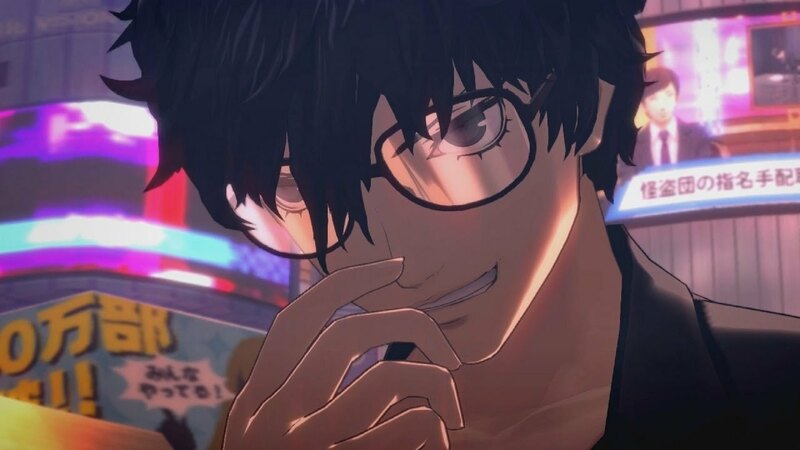 The protagonist, whose name is later revealed to be Akira Kurusu ends up seeing a weird dream where he enters the ‘Palace’ for the first time. Over time we learn that the Palace is nothing but a manifestation of all negative human thoughts. These ill thoughts take a form of their own and become physical dangers. As described by Morgana, the negative and corrupt thoughts can blend together in Memento, a location in the Metaverse where all of humanity exists. However, there are instances of corrupt individuals who live in their own palaces occupied by Shadows. It is not necessary that all standalone palaces are built by corrupt individuals with Futaba being one of the most notable exceptions. Futaba Sakura does not have any evil thoughts and is driven by psychological trauma caused by the memories of her mother. Since palaces are cognitive, not every host is aware of them and are not affected by any adverse effects in the real world. 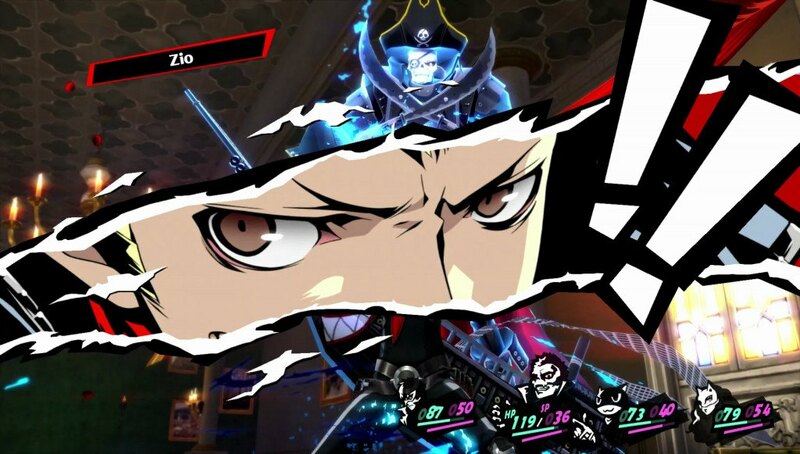 Towards the end of the game, the Phantom Thieves come to know that the Shadow Selves except Kunikazu Okumura have started reforming. 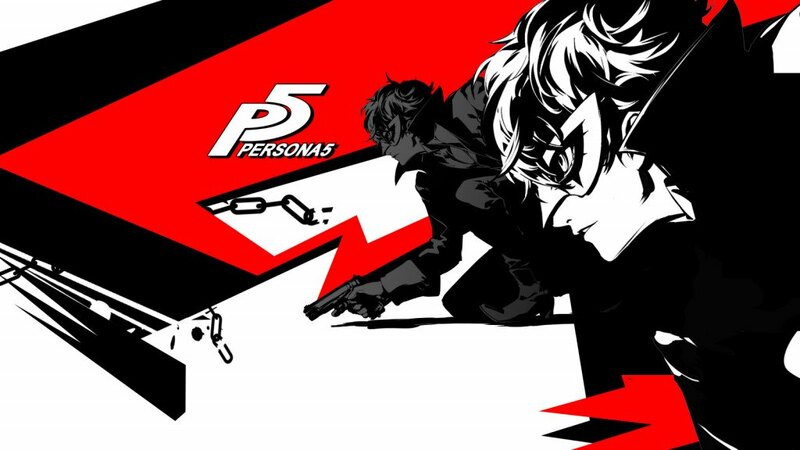 With the shadows making a return for the prison of regression in the Mementos, the Phantom Thieves are forced to lock themselves in. The events in the prison leading up to the final ending which is when you get to decide the fate of the protagonist along with the other Phantom Thieves. By the end of the game, Persona 5 manages to explore a number of themes, but it’s all about “taking someone’s heart.” You can change the personality of a person by taking a part of someone’s heart. From taking love away from them and leading them into eternal despair or taking their bitterness away to make them feel whole again. It sounds like an amazing power. 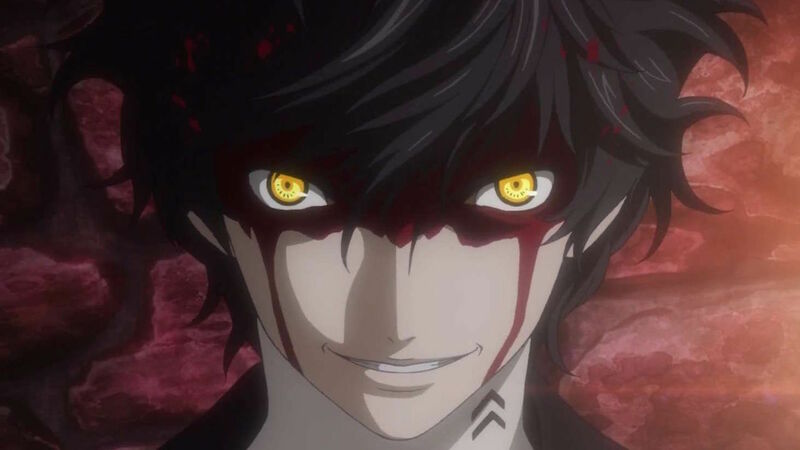 While we explore fancy powers of superheroes like Shazam or the Avengers, Persona 5 offers a fresh take on what special powers could be capable of. Throughout the game, we are told that the criminals are damaged beings and they can be restored. This philosophy permeates through every single villain, and there are times when you are made to question your own actions as well. So, basically, we want to punish people who break the laws of the state and turn them into law-abiding citizens. The motive of peace and order is a good one. Pretty much everyone agrees that it would be better if there just was no murder or theft. When you face the God of Control, and he asks you if you want to restore the world, you have the option of turning people back into normal, but they will be unaware of the other parts of the Metaverse and that they effectively have no real control. But choosing so comes with its own drastic consequences. Free will is something that we all want but do we really have free will? You wake up in the morning, and you have the choice of having tea or coffee, that is a choice you can make. But internally, you may be hardwired into being a certain type of person, and your characteristics might not change after a certain point of time especially when it comes to views on other people, your own beliefs whether they are political, religious or social. As a Phantom Thief, you have the ability to steal parts of people’s hearts, and even if they suffer or end up breaking the law, you serve justice in a way you perceive it to be morally correct. The game makes you question your own beliefs and morals by the end of it. 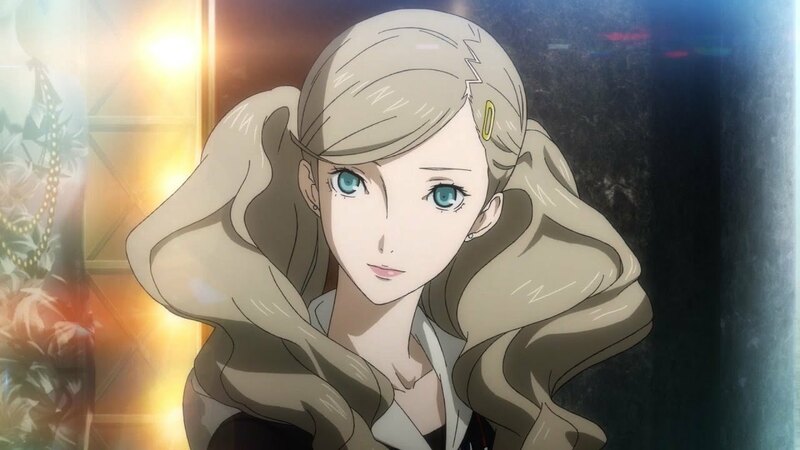 Do you give up the other Phantom Thieves when you are interrogated just because it would be the right thing to do? Or do you stick by their side and do not give them up? If you choose to punish the criminals and bring justice to the world with the God of Control’s help, do you really get justice? There is no correlation between punishment and the incidence of crime. Or to be precise, increasing the amount of punishment cannot necessarily prevent the occurrence of a crime, it only makes criminals more careful. But the Metaverse is different; you actually can delve into the minds of people and see their deepest, darkest thoughts. Persona 5 shows a society that is failing with crime and you have the power to stop if by stealing parts of people’s hearts. And if it is the only way to prevent crime before it actually happens, it sounds like a good idea to go ahead with it right? While the average player might be inclined to agree, your moral compass is tested depending on your choices on whether you value society’s law more or choose to take things in your own hands with the Phantom Thieves. So, what is the solution to all this crime? First, you have the option of fixing the world through your own methods and take the hearts of every person that you come across. If you have seen the anime Death Note, you might have a good idea of how things can be if you get such power. First, you start with people you think are really evil. Slowly you get consumed by a sense of justice that will force you to find evil in as many humans as possible and end up toying with people’s lives. One of the bad endings lets you do just that, and all evil is removed from the world at the cost of the humans being unaware of losing control. If you are tricked by the God of Control into choosing this path you are the one who gives up control of your own actions, making you look like a failure. It is concluded in the game that justice always ends up being personal and you always want to punish the people who hurt you or your loved ones first. The best example of this is the very reason why the protagonist was put on probation in the first place. He saw a lady in his own neighborhood being harassed and he thought it was the right thing to do. The Phantom Thieves are not the only ones who are responsible for handing down justice in the Persona 5 universe. Yaldabaoth, a god who wants to create justice by removing all of the crime itself. He wants to make humans incapable of thinking so they are incapable of crime. Similar themes have been explored in the Matrix trilogy, but there is a difference between what the Phantom thieves want to do and what Yaldabaoth wants to achieve. Unlike the player, whose actions are driven by personal reasons, Yaldabaoth does not discriminate. Over the course of the 100-hour campaign, you may find yourself in conflicting situations. When you are presented with a choice, in the end, it is up to you to choose your own path of Yaldabaoth’s. When you reach the final moments of the game, you realize that the game was rigged all along. You start off as heroes only to realize that whatever you have been up to was not fair at all. You punish whoever you want to without realizing whether your actions are fair or not. Persona 5 can potentially make you feel you are not a hero and that you judged people only on their shortcomings. No matter which ending you achieve, there is always a sense of confusion by the end of it despite the enjoyable experience. Did you do the right thing? Did you make the right choices? Were you fair towards those you judged? These are all questions that linger on in our heads. While playing the game through all the way just to have a different ending would require a crazy amount of patience, it is definitely something some players have done. From the start of the game, you never realize that your actions are defined by your own sense of justice and not necessarily what is right. If you replay the game and take the same decisions, you see things in a different light. After all, the world is not all black and white, and it’s the greys in between that define us. If we judge people just because of their shortcomings, we fail to see their successes. Persona 5’s heroes are hypocrites throughout the campaign, especially the protagonist if you get the third bad ending. Everything you work for goes down the drain, and everyone who trusted you feels betrayed by your actions in the worst ending. You lose way of who you are and end up following the same philosophy of Yaldabaoth. Many of us have seen Sons of Anarchy and can relate to the game in a way. Someone always has to bring justice to the world, and whether it is by law or simply teenagers with special powers, it does not matter. Anything that is lawless is just anarchy and chaos. 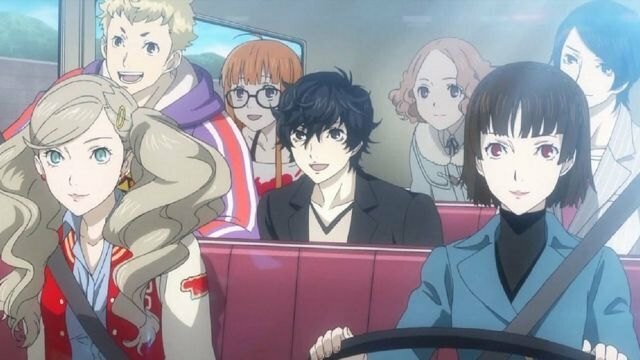 In the closing scene of the game, we see the protagonist drive away from everything with his friends (if you did not betray them). Even though we see all of them in a jovial mood, the game tricks us into thinking that it is a happy scene. The problems of the Metaverse remain, and the Phantom Thieves solved essentially nothing, and it is actually the protagonists of the story that thrived on ignorance. They ended up creating an unfair system that only caters to their whims and fancies. The Phantom Thieves have to live with their decisions and believe in themselves that they did the right thing. But like all things, power is also temporary, and it’s only a matter of time until the next band of rebels come and disrupt the system.